Studying through Indira Gandhi National Open University is a great option for anyone who wants to study through distance learning course. If you aren’t able to enroll in a good university for any reasons, you can go through all the courses that IGNOU offers and their admission cycle are twice a year. It is also a great option if you are preparing for competitive exams and want to also do a diploma or certificate or degree but don’t have time for going to college. 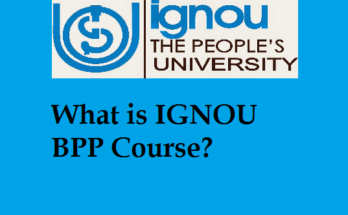 So students look for subjects offered by the IGNOU and get started there. Now remember that you have to re-register for each semester. Now don’t you worry about How To Fill Ignou Re-Registration Form? 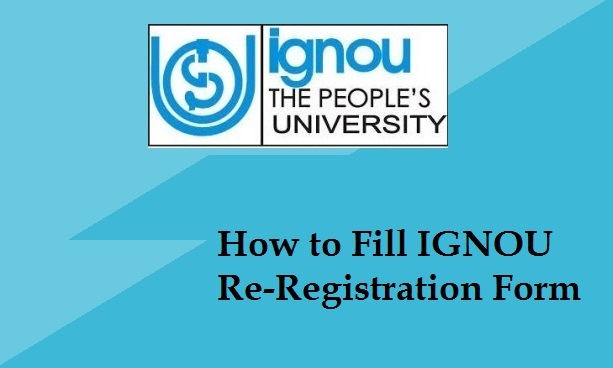 We have greatly covered this section below on how you can fill the IGNOU Re-registration form. So read along. At Indira Gandhi National Open University, Re-Registration is a process by which students fill up the admission information for next semester. As IGNOU or the Indira Gandhi National Open University offers distance learning course, students can take a semester break before starting next semester. So if you wish to take a break for a sem, you can opt to not fill the Re-register of IGNOU. But if you want to continue, then re-registration is very necessary. But are you wondering How To Fill IGNOU Re Registration Form? 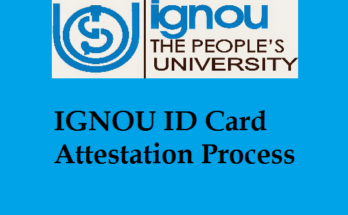 Do not worry students, we will help you in the How To Fill IGNOU Re Registration Form process and let your through a step by step process for the same. Follow these steps if you want to re-register. The option to select your subjects in also covered in these steps as you can choose subjects once you log in successfully. If you have your Login ID password, click on the ‘login’ button. Enter your enrollment number (username) and password, it should match the username and password you created while creating your account for the first time. Select the courses you wish to re register from the available options in your account. Save all the selections which you choose to re-register. After you click on the ‘next’ button, make sure you confirm the details and the check the self-declaration box. You will have to click on the the ‘accept and proceed payment’ option to submit the fees for selected subjects. You can use any of the options to pay the re-registration fees on IGNOU portal – credit card/debit card/ATM card/Netbanking. Click on the ‘save’ button and also make sure you take a printout of the application form and payment receipt as a physical proof.